How pretty is this space?? The desk, the chair, the artwork.. oohh the artwork. It's beaming with character and just by seeing this photo, you can have a feel of what the owner is like. 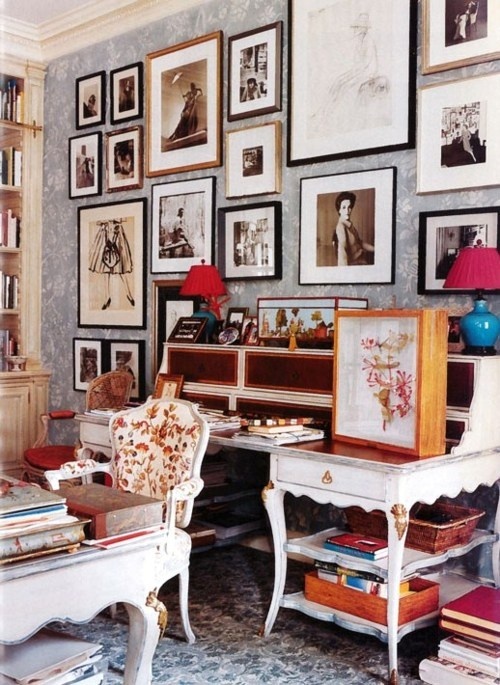 I can imagine a very chic lady, with a strong personality, and love for history and the arts, doing some serious creative work in this space. Love it!